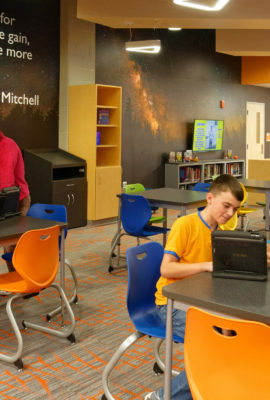 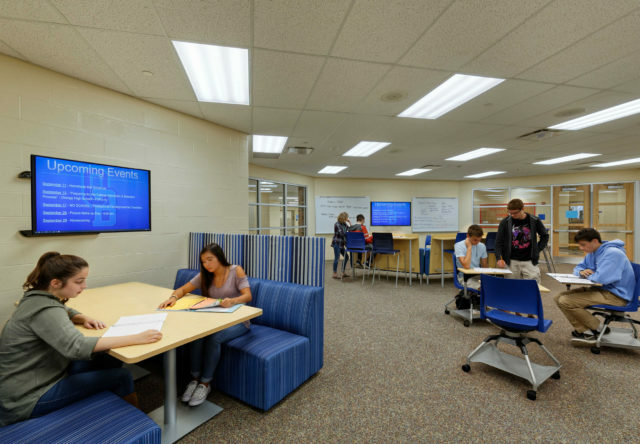 Innovation zones at the new Olentangy Berlin High School are providing students with a collaborative environment for personalized learning. 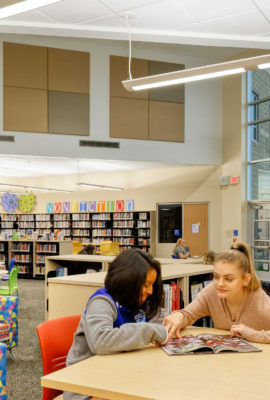 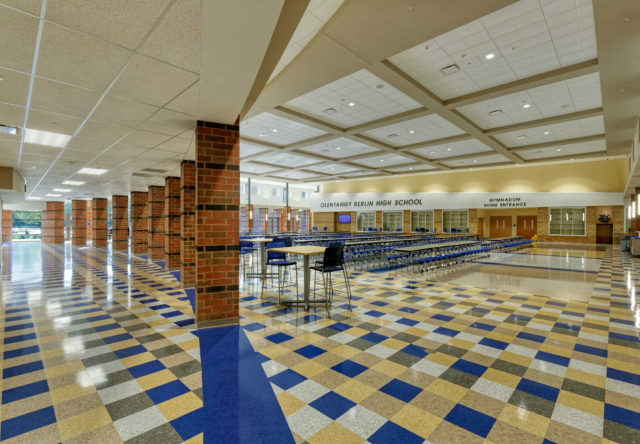 Working from the plan for Olentangy’s last two high schools, Fanning Howey partnered with district leaders to reimagine their approach to high school design while maintaining the cost efficiencies of a replication. 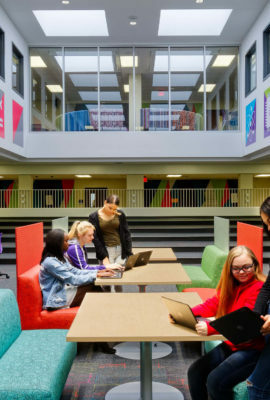 The new design responds to educators’ desire for more collaboration space, placing innovation zones at the hub of the y-shaped academic wings. 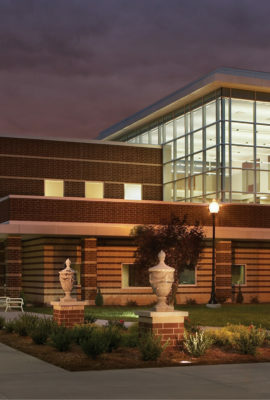 Meanwhile, a streamlined design process kept the building under $190 a square foot. 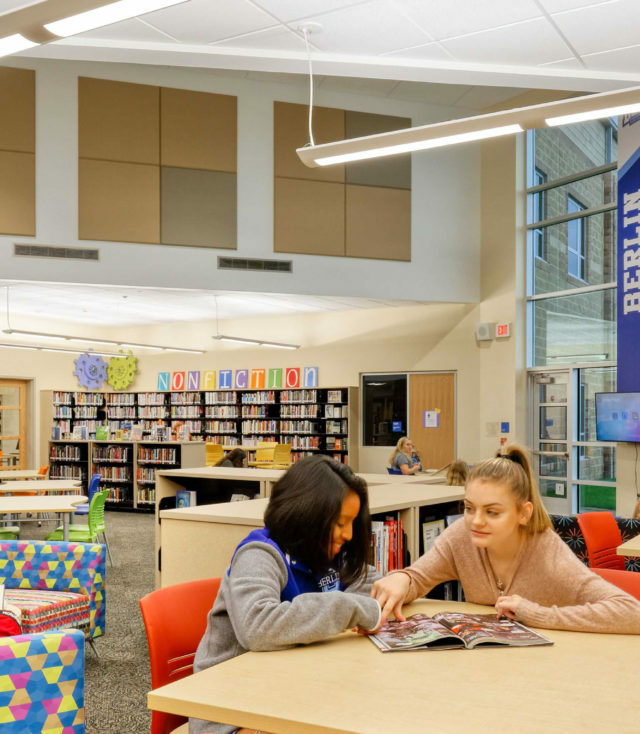 Extensive glazing and natural daylighting creates an inspirational setting for students and staff. 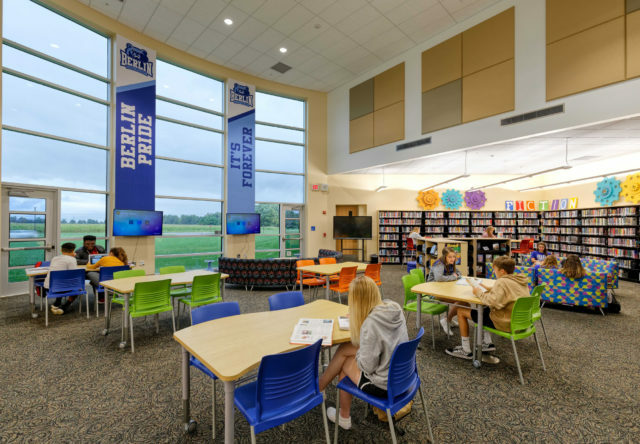 As part of the school’s integrated technology design, 65-inch interactive televisions are featured throughout the media center and in every classroom. 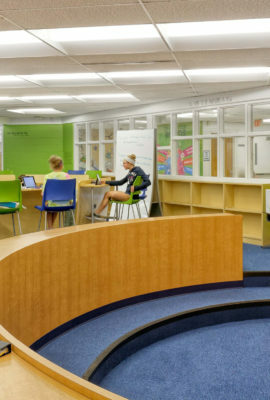 The school is sectioned into four individual learning communities, each with flex studios for student collaboration. 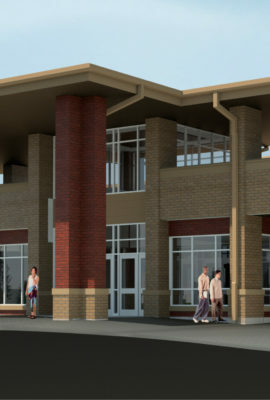 Arts and performance spaces include an 809-seat auditorium to support the school’s comprehensive approach to education. 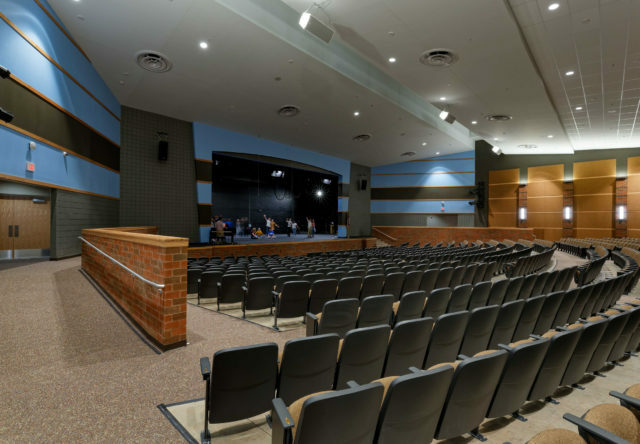 The auditorium includes an extended stage, elevated control room, lighting catwalk and full-fly loft. 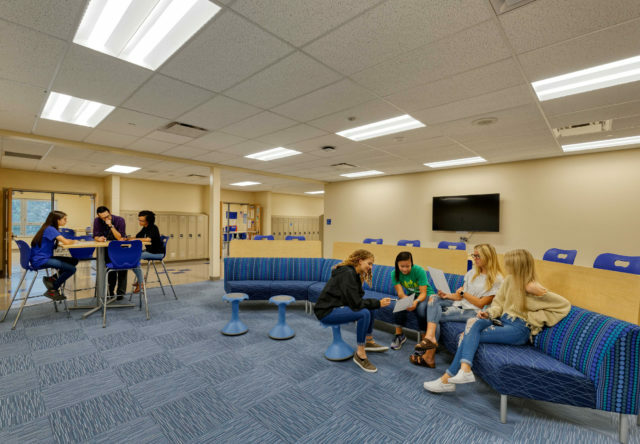 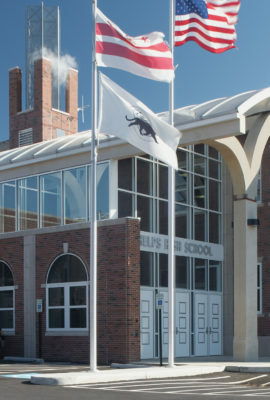 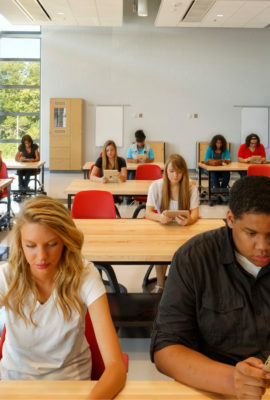 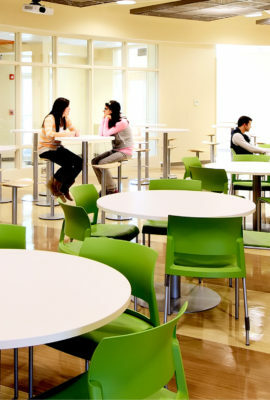 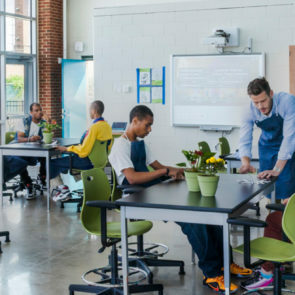 In terms of features and function, the school performs much like a college campus to emphasize collaboration and help students develop future-ready skills. 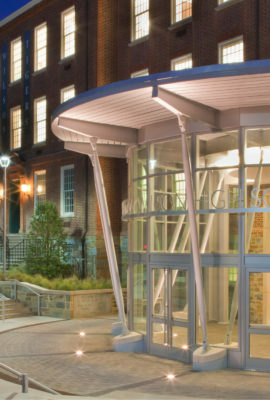 Fanning Howey has all the qualities of an exceptional team and the results of our partnership speak for themselves.